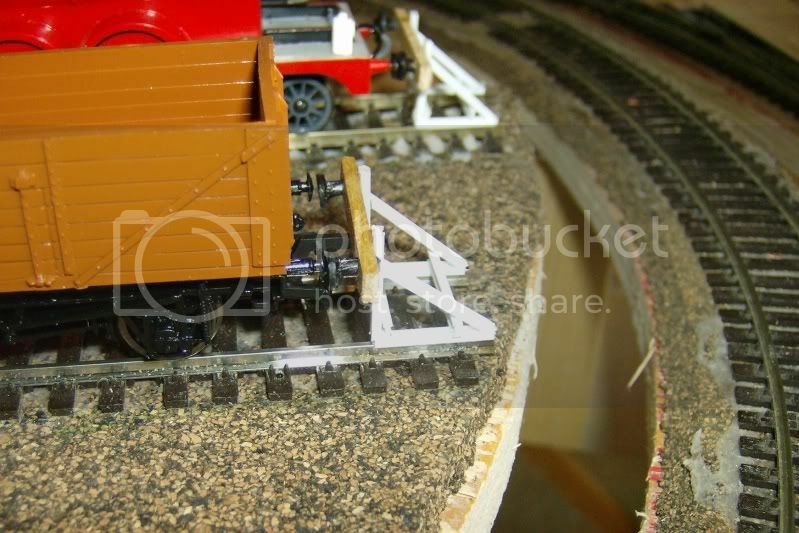 Now that I'm actually laying track, I thought I would start a new thread. The old thread, which was mostly kicking around design ideas can be found here. I was kind of surprised to find that I had started the old thread exactly one year ago today. They haven't been cut yet - I want to get the electrical drops in first - but I've run trains across them and everything seems good so far. 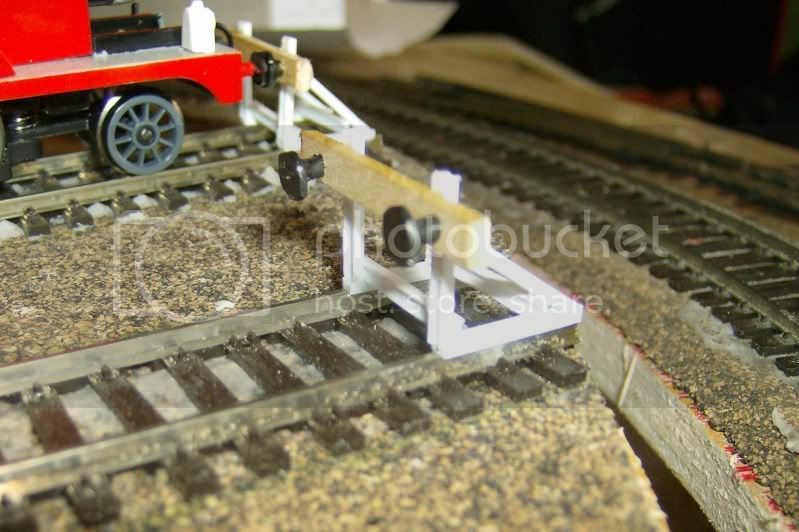 They're made of I-beam styrene with a basswood beam and cut tacks for buffers. Of course, they'll look a lot better after they're painted up. I have quite a few more to make, and I've also started assembling the station - I need to know it's exact placement so I can do the next bit of trackwork. Rick: They're quite presentable and will look good after some weathering. For your situation, you need good stops. 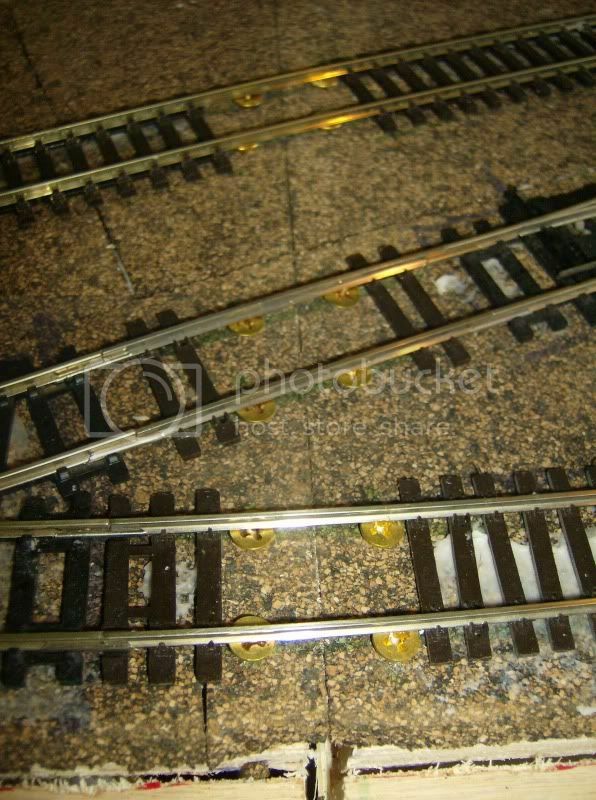 I have a picture somewhere of a set of sidings in a similar position and on 10 tracks there are only about 2 intact stops -- and 8 piles of broken timber. Yeah - I knew I hadn't seen many with actual buffers - but about 50% of the ones I see on the Thomas videos have buffers, and I kind of like the looks of them. 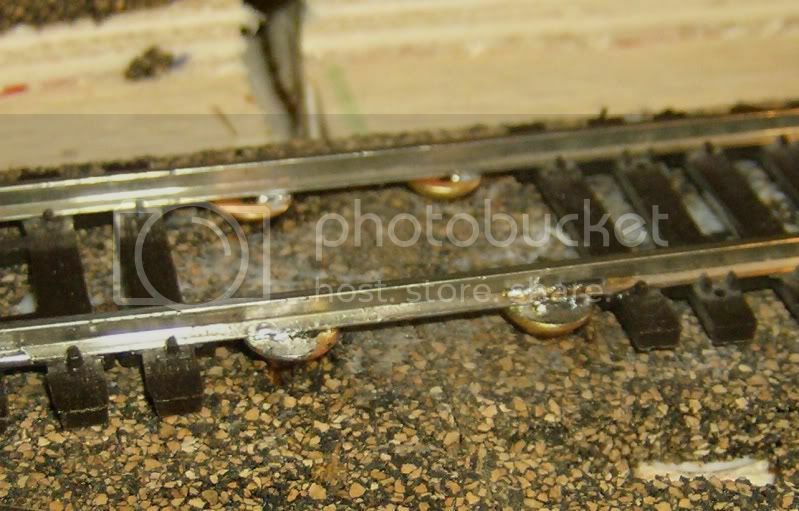 Plus, I plan to use Kadee couplers and I didn't want them slamming against the wood. But maybe I'll just use them like that at Knapford, because it is a terminal stop, then make plain ones for everywhere else. Plain ones would certainly be easier! Good track so far Rick, keep it up!! I'm sure that once weathered they will look very good! Thanks Doug - that was great. I liked the touch of closing the gate before the bridge went up. Didn't even think of that before. Great video, Doug. Aside from the bridge, that wobbly track coming down out of the moors looked kinda neat. You are all welcome. Seeing someone elses work can at times give us that idea that we have been searching for, and some food for thought. I was at a loss as to the best arrangement for my station untill I saw what I was looking for on a youtube vid. This thread was just posted on another forum.